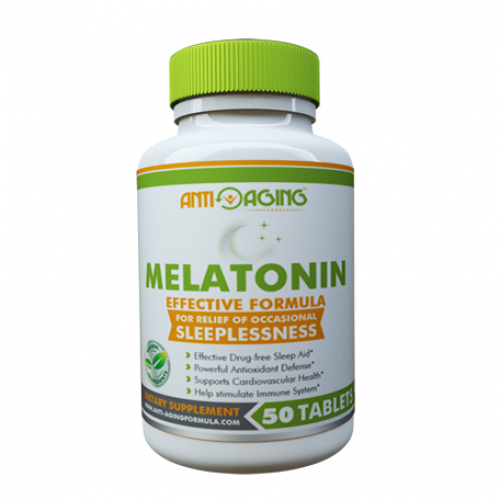 Helps with sleep disorders, and many other areas. 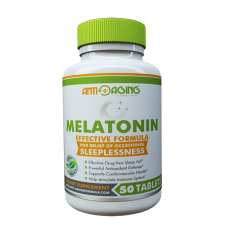 Melatonin is a natural hormone that plays a role in sleep, and supplements are associated to sleeping disorders; however, many reports also associate Melatonin with a wide-range of health benefits, including Blind entrainment, Jet lag, Insomnia, Children with sleep disorders, Tinnitus, Fibromyalgia syndrome, Systemic sclerosis, Immunotherapeutic potential, Cancer protection, Ocular diseases, Gastrointestinal disorders, Glucose homeostasis, Oral contraceptive, Skin protection from ultraviolet light, Thermal injury, Postoperative pericardial adhesion formation, and other benefits. Melatonin dietary supplements have been studied mostly for sleep disorders, such as jet lag, disruptions of the body’s internal “clock,” insomnia, and problems with sleep among people who work night shifts. It has also been studied for dementia symptoms, and in children with autism and mental retardation. There is also some evidence that melatonin might improve the effectiveness of cancer drugs used to fight tumors in the breast, lung, kidney, liver, pancreas, stomach and colon. But it should only be used for this purpose with the help of a healthcare professional. Melatonin is associated to help in many areas, such as in: sleep disorders in blind people; sleeping problems in children with autism and intellectual disabilities; improving alertness in people with jet lag; general insomnia; improving the effectiveness of certain cancer medications used to fight tumors in the breast, lung, kidney, liver, pancreas, stomach, colon, prostate, and decreasing some side effects of cancer treatment; decreasing symptoms of a movement disorder called tardive dyskinesia (TD); cluster headaches; decreasing sunburn when applied to the skin in a cream form before going into the sun; reducing anxiety before surgery; helping elderly people sleep after they stop taking a type of drug called benzodiazepines; helping decrease symptoms in patients who are quitting smoking; low blood platelets (thrombocytopenia); reducing pain in people with a certain kind of headaches; and other areas.